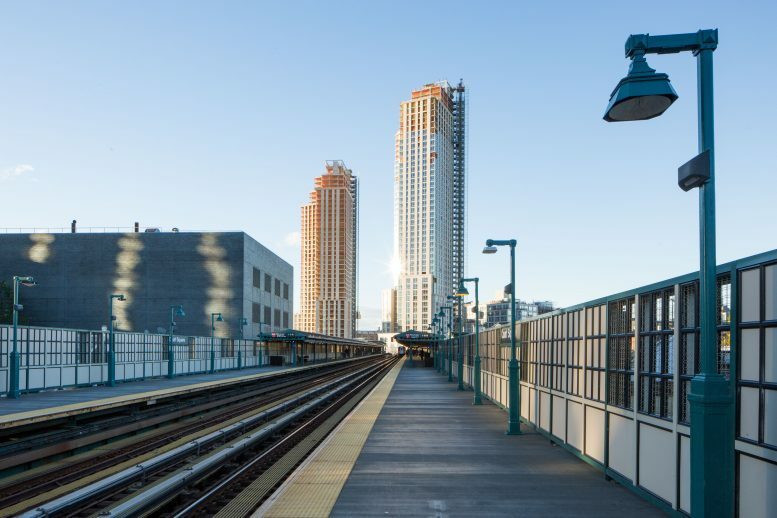 Combined, the controversial pair are the largest new addition to the Long Island City residential market, and they’re finally nearing completion. 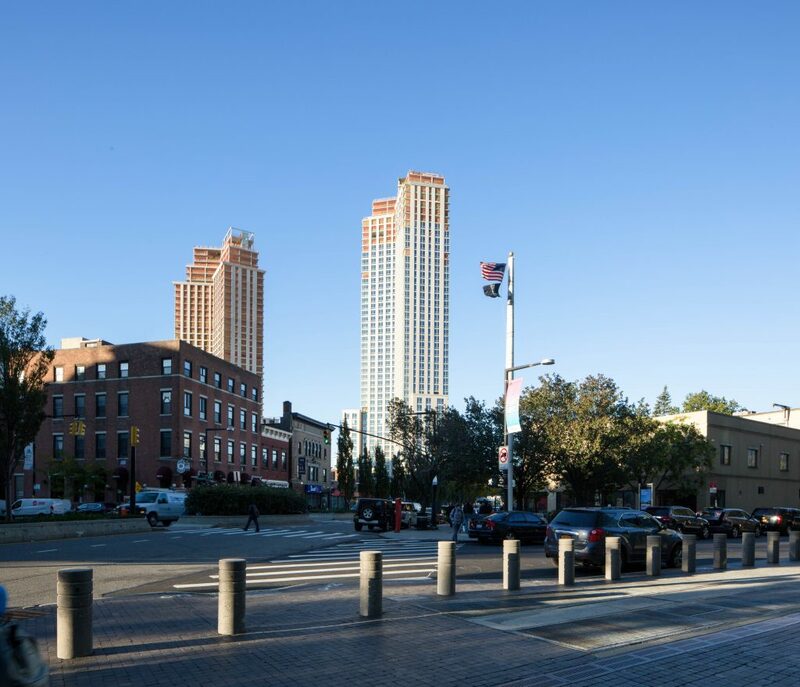 The two towers located at 22-44 Jackson Avenue have long been topped-out, and are now barreling toward opening day, when they will finally add 1,115 residencies to the neighborhood. The project is housed on the former site of 5Pointz, a debatably cultural significant structure that exhibited some incredible street art. G&M Realty is the developer. The façade for both buildings has reached the top floors, with glass nearing the top of the taller tower. They stand 41 and 48 floors respectively, peaking at 440 and 498 feet above street level. In total, the pair have created 1,210,000 square feet of new space. This includes a 40,000 square foot retail podium with parking, and 223 affordable housing units. Apartments will average 876 square feet apiece. HTO Architects is responsible for the design. Interiors have been designed by Mojo Stumer Associates. 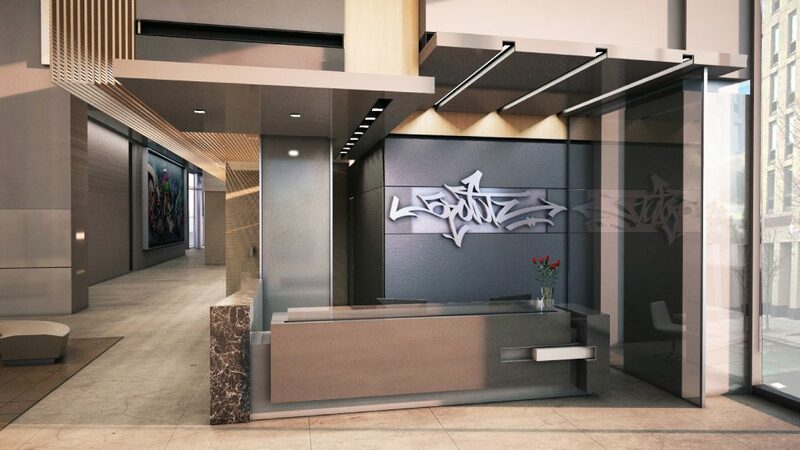 They will feature an homage to the 5Pointz legacy, with a graffiti-style logo behind the front desk, and similar works abound. It’s unclear if any of this design will find its way back into street view. Construction started in 2014, completion is expected before the end of next year. 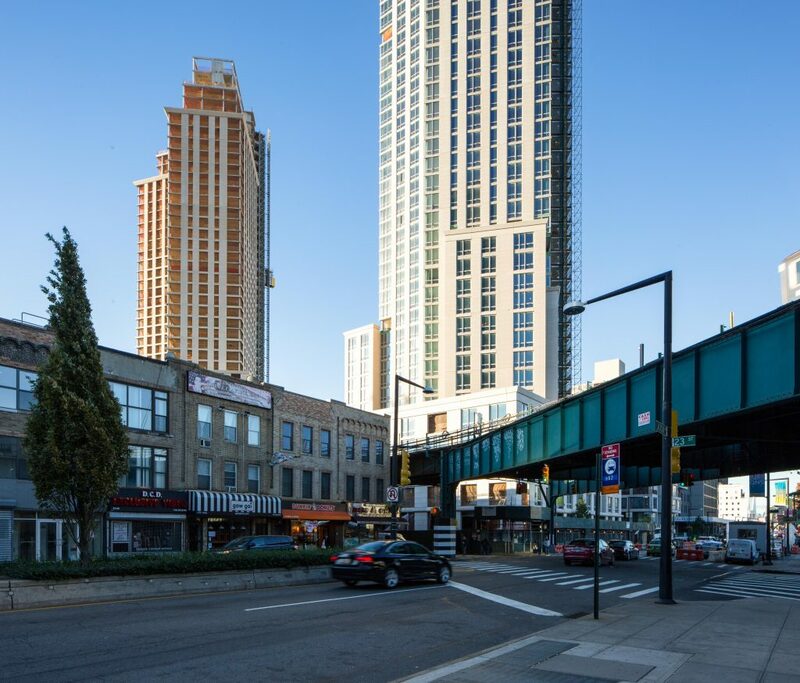 5 Comments on "5Pointz-Replacing 22-44 Jackson Avenue’s 1,115 New Apartments Nearing Completion in Long Island City, Queens"
Please pardon me for using your space: Before they are completed I like its appearance now. Not but neat. The structure these towers replaced may not have been culturally significant, but the art the developer illegally whitewashed in the middle of the night was. There were many paths the developer could’ve taken to address the concerns of the artists and the community, but they did not. While more housing units are desperately needed in NYC, what happened here was illegal. Thank you. What an amazing idea to stop rampant gentrification in this City. Just tag whatever ….and behold, it will be forever legally preserved. Hold on, I have a vintage New York City subway car from the 1970’s to sell. It should be on display at MOMA, obviously, but for you…..
insult to injury!!! the former 5 pointz was a beloved mecca for graffiti artists, hip hop enthusiasts, students, designers, historians that embodied the raw resourcefulness and freedom expressed in a counter cultural revolution from the 70s to the 90s. beyond the legality of the whitewashing – this is a sheer abomination of architectural design…. and history. thus is truly a sad moment in new york history that represents the oppressive conformists of trust fund yuppie LIC culture… designed for rich foreigners and elitists…. 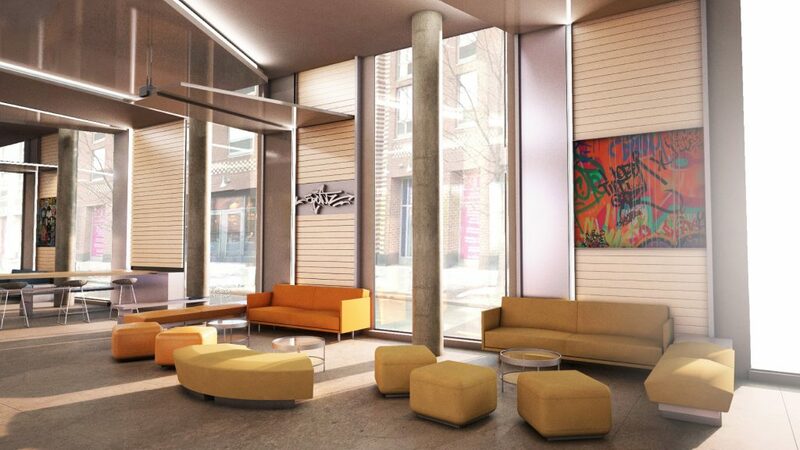 unbelievable how they superimpose imagery of grafitti in the lame renderings. the developers could have built this into a destination that could have far exceeded its desirability and net worth – similar to the likes of Banksy’d buildings, k haring landmarks and so forth. there short sighted stupidity has forever robbed NYC of its soul.